Interested in joining SDC? Read on to see which classes might be the best fit for your dancer! Please note that dancers are placed in classes by SDC instructors. SDC offers developmentally-based classes for preschool through fourth grade and skill-based classes for fourth grade and up. Level 1 classes are designed for 3-5 year-olds who have not yet started kindergarten. 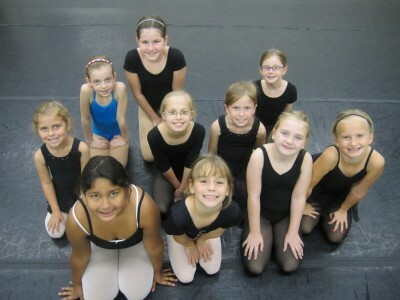 Ballet, Tap, and Jazz are offered at this level. Level 2 classes are designed for 5-7 year-olds who are in kindergarten or first grade. Ballet, Tap, Jazz, and Hip Hop are offered at this level. 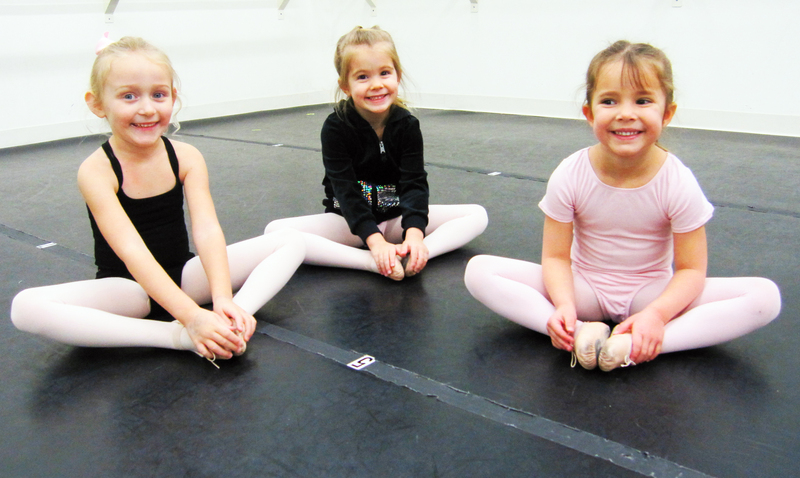 Level 3 classes are designed for 7-10 year-olds who are in second, third, or fourth grade. Ballet, Tap, Jazz, and Hip Hop are offered at this level. Beginning at fourth grade and Level 4, we offer skill-based classes where progress is measured primarily on technical progress and maturity. Some dancers at Level 4 may have more experience than others, but all dancers will be introduced to the same technique from our curriculum. Ballet, Tap, Jazz, Hip Hop, and Modern are offered at this level. Some dancers may be eligible for Broadway Jazz or Lyrical Jazz. Level 5 dancers have mastered the objectives and skills introduced at Level 4, and have demonstrated the physical and emotional maturity to take on additional skills. Some classes at this level may be invitation-only. Ballet, Tap, Jazz, Hip Hop, and Modern are offered at this level. Ballet is a twice-weekly class. Some dancers may be eligible for Broadway Jazz, Lyrical Jazz, or Pointe Prep. Dancers at Level 6 are encouraged to take several styles of dance to maintain their technique, including ballet. Ballet, Tap, Jazz, Hip Hop, Modern, Composition, and Broadway Jazz are offered at this level. Some dancers may be eligible to take Lyrical Jazz, Pointe Prep, or Pointe. Level 7 is the highest level at SDC, designed for serious dancers who are ready for our most advanced technique classes. Ballet, Tap, Jazz, Hip Hop, Modern, Composition, and Broadway Jazz are offered at this level. Some dancers may be eligible to take Lyrical jazz, Pointe Prep, or Pointe. Classical ballet—considered to be the foundation of dance—blends tradition, discipline, and grace all into one class. At SDC, our ballet classes include elements from some of the most well-regarded styles such as Vaganova, Cecchetti, and Balanchine. Rhythm and beats are key components to this quickfire class! Tapping is like drumming with your feet: increasingly intricate timing and footwork make learning to tap a brainteaser as much as a physical workout. Modern dance takes dancers off-center, crafting abstract movement with inventive shapes and lines. This class is taken in bare feet and requires a creative mindset—we dance on the floor, around the room, and in different patterns! SDC’s modern classes are influenced by several well-regarded styles including Horton, Graham, and Límon. As one of the most expressive forms of dance, jazz offers dancers the chance to experience stylistic techniques in genres like Broadway, lyrical, Latin, and Swing. As dancers advance, more challenging progressions, turns, and combinations are introduced. Street dance meets stylized music in this high-energy (almost aerobic!) class. Isolations, footwork, and rhythms get faster and more challenging as dancers progress. And don’t worry—we always emphasize age-appropriate moves and music. As one of the most precise forms of dance, pointework gives the illusion that a dancer is lighter than air. Dancing on the tips of one’s toes, however, requires many years of dedicated ballet study, excellent physical health, and teacher recommendation. Dancers at SDC must already be enrolled in twice-a-week ballet and demonstrate appropriate technical proficiency, physical strength, and dedication before being recommended for Pointe Prep. Stop by the front desk to receive more information about SDC’s Pointe Prep class.